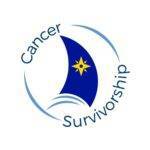 What is a Cancer Navigator? How can they help me? The term oncology navigator commonly refers to nurses who support cancer patients in hospitals. However; for a Grace Gawler Institute Cancer Navigator, the term has a very different meaning. Firstly; our institute has a global focus. We provide a Cancer patients without Borders program supporting patients to access treatments overseas when they are not available here (AU, NZ). Secondly; our navigator fills numerous roles (see below) to bridge the many gaps between the patient as a whole person and the patient as seen in the medical system. Our navigator liaises regularly between home country & overseas doctors to present the complete picture of the whole patient. Thirdly; our navigator applies a meticulous & thorough approach to each patient’s case resulting in the minimisation of mistakes & optimal patient outcomes. Having personally experienced overseas surgeries Grace is uniquely qualified to help patients navigate the international medical maze. Since our model is a new concept, the following example (the conductor) may help you better understand the role of the cancer navigator. With this knowledge you are better equipped to capitalise on our service. 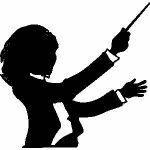 Your cancer navigator is like an orchestral conductor. She has many responsibilities; coordinating instruments, musicians, music, tuning, timing, sequencing. She ensures the overall harmony of the symphony ‘team’ to produce a musical masterpiece. Similarly; your navigator organises and coordinates your ‘medical orchestra.’ These include oncologists, doctors, immune therapists, overseas treatment centres, genomic diagnostic labs, nutritional & complementary medicines. 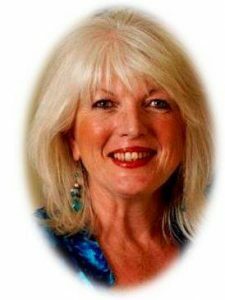 She makes sure nothing falls through the gaps and conducts the ‘team’ to produce the best medical ‘masterpiece’ for you – your health restoration. Helps you navigate the increasingly complex & bewildering cancer maze – providing guidance & support each step of the way. Builds a comprehensive overview of your unique cancer history and story in order to provide a personalised approach to your cancer treatment & management. Leverages her longevity in the cancer field (4 + decades) and her global medical yardstick (of what is possible) to help you access some of the best cancer treatments available. .
Is knowledgeable across multiple cancer disciplines; including, knowledge of oncology treatments (especially cutting edge treatments), surgery, radiation, immune therapies, cancer nutrition, psychological support & more. Informs & educates you about new treatments, new diagnostics, new options – empowering you to make informed decisions. Is not on the payroll of any hospital or drug company – is free of limiting hospital protocols – can find the best option for patients. Helps you identify and avoid pseudo-scientific or fake cancer cure claims. 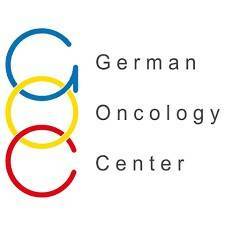 Some years ago we were invited to work with a private oncology clinic in Germany which appeared to be at the forefront of innovative Cancer treatments. For 3 years we took groups of patients there on a regular basis and stayed with them to organise and support their treatments. We soon made a startling observation. Our navigated patients achieved better outcomes than patients who had self referred to the clinic. I observed these patients only achieved a 10-20% value of what was possible at the clinic, compared to the consistent 80-90% our navigated patients attained. Upon reflection, this was not rocket science. Our navigated patients were assisted and guided at every level by their cancer navigator, Grace Gawler, who helped the patients prepare their records & attended all their consultations. She even travelled with them to the large German hospitals where they had been outsourced for special treatments. Grace asked questions the patients would never consider. Consequently; much more was achieved for the patient. This extra layer of support continues today. The navigator can brief the patient about questions to ask of their oncologist (in AU & NZ). Afterwards, the navigator will debrief the session with them . This advantage is amplified when working with overseas oncology specialists; especially in countries where English is not the first language. When the navigator coordinates and oversees the process, better outcomes are assured all round. Therefore – My best advice is if you have cancer – do not play around with self-prescribed botanical medicine. AND – beware of practitioners who sell you products with excessive ingredients at excessive doses. When this is the case – NO ONE can predict the side effects or contraindications with other supplements or with other medications you may be taking. It is just too complex to work out! When an oncologist answers a patient who asks – “Can I take all my naturopathic supplements whilst on chemotherapy? Should I go vegan? ” He is likely to answer a resounding “no” – take nothing extra, do nothing else while having my treatment. This may not be ‘sour grapes’ – it is because he/she knows the complexities of getting the doses right and advising you correctly! It may surprise you that I would agree… The oncologist is right; it is better to do nothing than to ingest perhaps thousands of unknown phytochemicals with unknown reactions and interactions. The really big question is – How does the practitioner, or you the patient, comprehend how you (a unique genetic individual), metabolises pharmaceuticals, botanicals & nutritionals according to your genes? It is better not to consume alternative and complementary medicines AT ALL rather than excessively ingest complex combinations and concoctions of botanicals/vitamins/minerals/ nutritionals. Especially when you have no idea how they will interact or if they will be contraindicated other potentially life-saving medications. Maximise wellbeing and reduce side effects with prescribed safe nutritionals. These can be taken while undergoing your cancer treatments.